How Do You Keep IT Projects on Time? This is a question that haunts even the most experienced of managers. 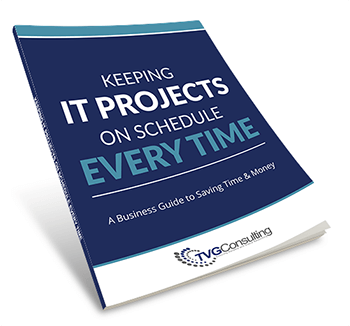 How on earth do you keep your IT projects—no matter how small—on time, let alone on budget? If you’re using an in-house team, they’re often torn between their day-to-day responsibilities and completing the project at hand. You don’t want to slow productivity for the rest of the office when they run into technical issues and the IT team is focused on your project. What do you do? We’ve created a guide that addresses the trials IT Managers face attempting to keep their IT projects on track, including helpful tips that will get the work done on time and preserve your sanity. >> How do I maintain a clear project scope? >> Can I ensure buy-in on all levels? >> How do I identify potential pain points before they become a problem? >> How do I get IT Projects done on time every time and save money? It might seem impossible to keep your IT projects under control, but if you can take in these tips for staying on task and maintaining your IT project, you will find that you and your team can bring it in on time.